AppSnap can help you sell your authentic luxury jewelry pieces directly to us, or through our online boutique via consignment. You tell us what you’ve got to sell, we provide you with a quote, and if you like the price you can mail it to us to sell online. 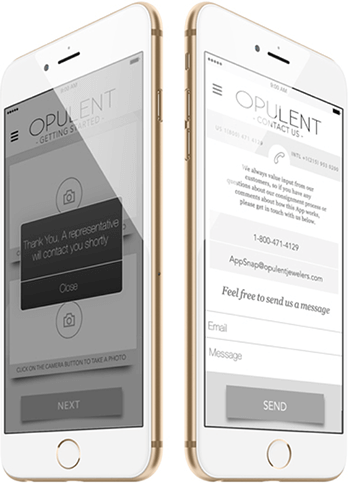 With our new app, this process is easier than ever before! Just follow these simple steps and you’ll be earning money off your old jewelry pieces in no time! It really is that easy. 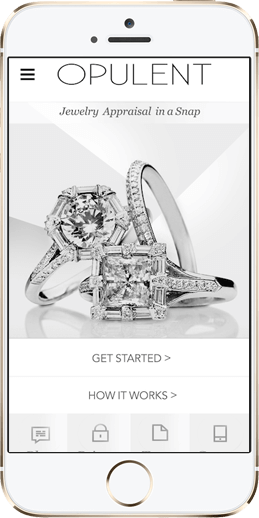 So download our app and get started on turning your old jewelry collection into cash today! And as always, if you have any questions about how our consignment process works, feel free to contact us. 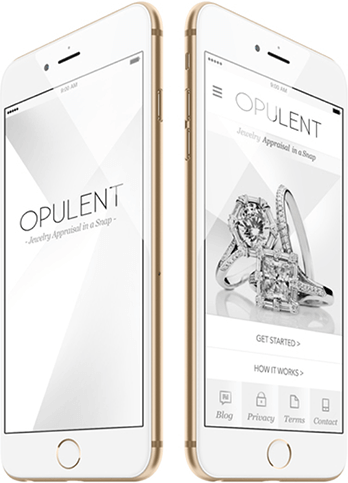 Download the Opulent Jewelers App. Submit a photo of the jewelry piece(s) you’d like to sell, along with a description. Receive a price quote from our team. We’ll send you a fully insured shipping label which you can use to forward the jewelry to our physical boutique in Pennsylvania. We’ll polish up the pieces ourselves then list them for sale on our website. Get paid instantly for direct sales to us, or once the pieces sell if you chose consignment! What kinds of jewelry do you buy? We buy authentic luxury jewelry pieces (ie $20,000+ value) from major brands like Cartier, Chanel, Chopard, Louis Vuitton, Van Cleef & Arpels, Tiffany & Co, Gucci, Versace, Bulgari, Hermes, Carrera y Carrera, Piaget, and more. We are exclusively interested in truly rare and valuable pieces which our esteemed clients would find remarkable. How do I submit my jewelry for sale or consignment? Simply follow the step-by-step instructions on AppSnap to submit your jewelry offer to us. You will need to take a photograph of the jewelry, as well as provide us with a brief written description of what it is. If it looks like a good fit for us, we’ll give you a quote on what we’ll pay you for it, or offer you the option of selling it through us via consignment. How do I send my jewelry to you? If we are interested in your jewelry, we will send you a prepaid fully insured overnight label which you can use to ship it to our boutique in Pennsylvania, where we will inspect it, polish it, professionally photograph it, and list it for sale. We know how precious this jewelry is to you and our other clients, so we handle it with the utmost care at every step, and video record the unpacking process to ensure that the highest quality of inspection can be carried out. We will remain in constant contact with you throughout this process, and can provide you with updates at any time. If you sell your jewelry directly to us, we will pay you the full quoted amount via check. If you are selling your jewelry through us via consignment, we will pay you 75% of the final sale price via check once your piece sells. What is your return policy for consignment pieces? We require a minimum of 90 days before fulfilling returns on consignment pieces, to give us a fair opportunity to find a buyer for the piece. After 90 days, if the piece hasn’t sold and you no longer wish to list your jewelry with us, simply let us know and we will mail it back to you. In this case, you will be responsible for the return shipping charges. What is your policy on fakes/replicas? 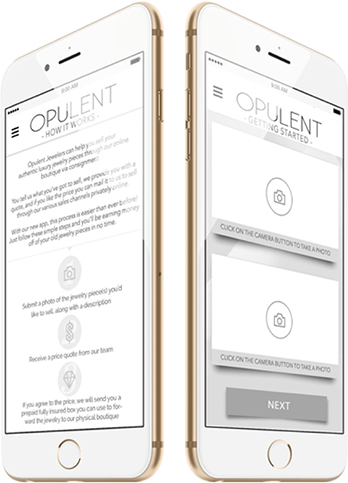 Integrity is as important to us as it is to our clients, so Opulent Jewelers only buys and sells authentic brand name jewelry. Every item in our store comes with our famous 100% Guarantee of Authenticity, and we will not accept any fakes, replicas, or other bootleg jewelry through AppSnap or any other channel. Help! I have a question that isn't answered here. If you have any further questions, please contact our concierge for further assistance. We’re always eager to provide answers to any questions which our clients may have!